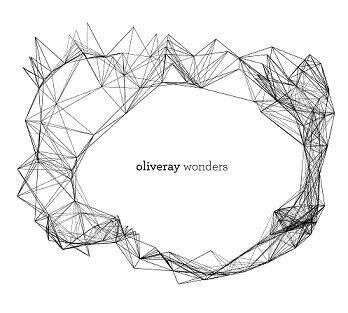 Peter Broderick » Blog Archive » say hello to oliveray! i am super excited to announce the debut release from a project very dear to me! oliveray consists of me, peter ray broderick, and one of my greatest friends in the world, the incredible musician/producer nils oliver frahm. we’ve been collaborating in many ways these past couple years and traveling a lot together, but finally we have arrived with our first truly 50/50 collaboration effort, wonders. it started when i was asked to create a cover version for my great friends efterklang. i asked nils if he’d like to work with me on the project, so one day we got together in his studio and ran through the song (harmonics) a couple times and then layed it down to tape in the most relaxed way possible, me playing the guitar and singing and him on the piano… we were both really happy and inspired with how easy and fun this process was. we thought you could hear and feel that relaxed atmosphere in the song. so when our japanese friends cote labo asked us to prepare some kind of release for our japan tour, me and nils set aside a couple days to record some music in a similar manner. without much preconception we just set up the mics and started recording, with an aim to create a short album of half instrumentals, half vocal-based songs. we ran through a few fresh musical ideas that each of us had, improvising along with each other, sometimes just improvising entirely, and before we new it we had a nice little collection of eight intimate pieces of music. the first official output of what will hopefully be a lifelong collaboration, wonders feels really special to me. and tomorrow we’re off to japan to celebrate the new release with some concerts together. here comes oliveray! This entry was posted on Wednesday, September 21st, 2011 at 3:41 pm	and is filed under News. You can follow any responses to this entry through the RSS 2.0 feed. You can leave a response, or trackback from your own site. This new sounds is very beautiful and spiritualized, and great version of efterklang song! would be very nice if you can come to Chile , we would very happy if that happen . where we could get it?? it’s so very big new! two of my favorite artist are working together! Wow, that was kept quiet, can’t wait for this – already mad excited about yours and Nils albums in the next month or so but this tops the icing on the cake. Please bring your show to Brighton so we can bask in the sounds once again… cheers, Damian. Welcome, ‘Hello to Oliveray’! What a pair, Actually drowned into this work… I’m safe, safer and safer. Good luck for the new album too, I’m discovering it. See you very probably with Nils. Merci. Sylvie.